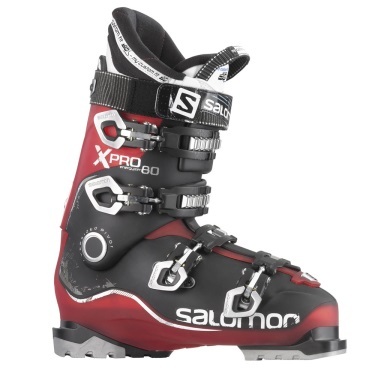 Twinframe performance with Salomon's new 3D liner make the Performance driven X-Pro comfortable from the minute you try it on until the last run of the day. BI Material PU Lower Shell: A bi-injected shell made from Polyurethane, a material with consistent density enabling effortless progress on-snow. BI Material PU Upper Cuff: A reinforced rear, lateral insert allows the use of a softer front cuff for improved leg wrapping and progressive flex. 4 Micro Alu Buckles: To micro adjust the length of the buckles for a precise and personnalized closure, just turn the lever. 3D Buckle: Choose from 3 different positions of the instep buckle for maximum customization. Head and Toe Removable DIN Pads. My Custom-fit 3D Sport Liner.